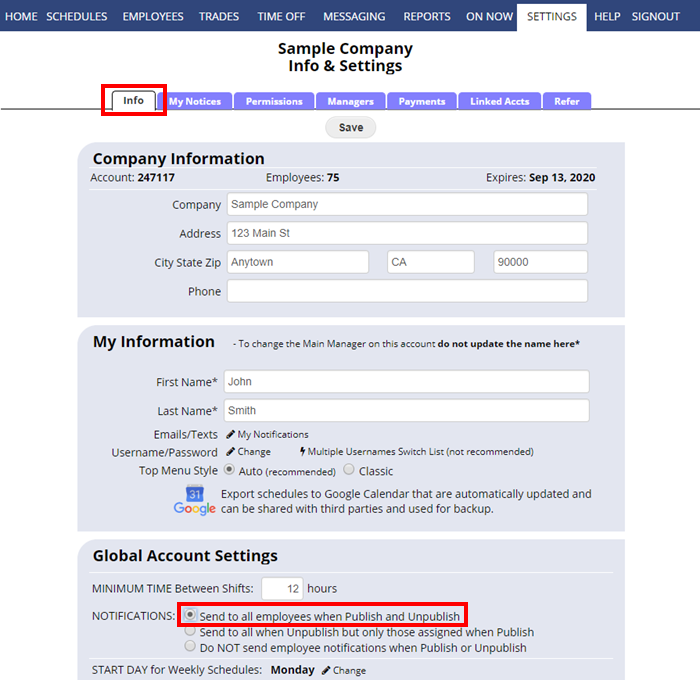 Your account is defaulted to automatically send all employees an email when you Publish or Unpublish a schedule week. If the employee is scheduled that week, the notice will include a list of their shifts and any weekly employee schedule notes. 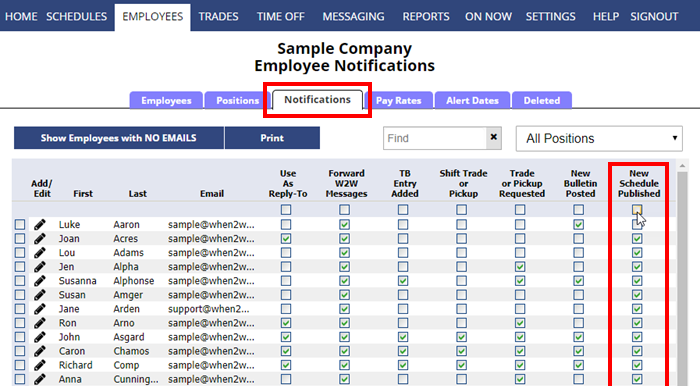 And, on the EMPLOYEES>Notification Grid, you can see whether each employee is set to have their schedule forwarded to email or notice of publishing sent to their text address. on the By Employee or Statistics schedule view. You can send an individual employee their schedule via email from their Employee Details page. Note that sending the schedule this way does NOT allow you to track their status icons on the By Employee schedule view. 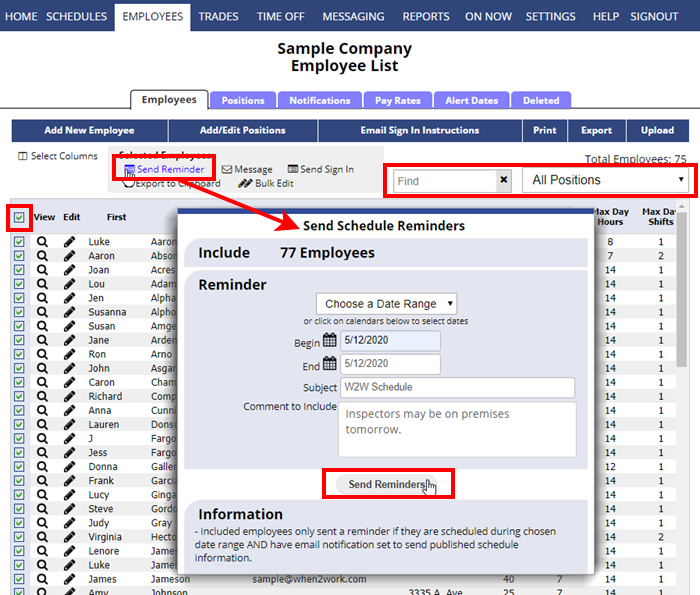 You can send reminders from the Employees List page to one or more employees who are scheduled during a defined date range. Note that sending reminders does NOT update or affect the status icons on the By Employee schedule view. When you send schedules manually this does NOT affect the status icons on the By Employee or Statistics schedule view. The status icons are only updated when employees are notified when you publish or when you make a published schedule change.